Kids, Moms, Dads... A Golden Week plan for the whole family! Golden Week is approaching fast. Did you already plan your holidays? "When I think of Golden Week, childhood memories come back to me. As a child living in a rural area, I realise now that back then, if this holiday time was enjoyable for me, it was more of an ordeal for my father. "In the middle of the night before the first day of Golden Week, my parents would put us kids in the car, still sleeping, and my father would drive us for hours to a theme park, my mother slowly falling asleep by his side, on the passenger seat. We would arrive at the theme park's car lot by dawn, only to discover an already long line of cars coming from all regions of Japan. As soon as my father would find a parking spot for us, my siblings and I, overexcited, would start running around, while our exhausted father would queue up at the entrance of the park. "Finally, at 8 o'clock, the park would open! As soon as we would go in, my father would start queueing up again to get us all special tickets that allow us to cut in lines for the most popular rollercoasters, while the rest of us would queue up for attractions that don't offer those tickets, and enjoy the first rides. After getting us the precious tickets, still exhausted by the long drive, my dad would go to reserve seats for us to watch one of the parades, and take a well deserved nap. "After my siblings and I enjoyed a full day of riding rollercoasters, meeting with princes and princesses, and eating all kinds of sweets and sugary things, it would be time to go home. Our poor dad would drive us all back home and by the time we arrived, it would be past midnight. "Truly, from the bottom of my heart, I want to say thank you, Dad. Even though you were always very busy with work and only had a few days off, you would always spend them with us, making sure we had fun and good memories with you. "Mom, too. It was hard for you to work part-time and take care of us when you got home, but you would still make plans to take us to nice theme parks on the weekend. "Remembering all the trouble my parents went through to make us children happy, I came up with a suggestion for a Golden Week plan that the whole family will enjoy!" Going all the way to a theme park can be very costly in both money and time: there are the transportation costs, the tickets to the park, and of course all the family will eat at the park's restaurants, which are delicious, but also expensive. Half of the day is spent on the road or queueing up, and the place is often very crowded. All in all, those trips are not always fun for parents. But with beautiful sightseeing spots and lots of attractions, such as Escape Hunt Tokyo, Asakusa is a great place to spend a day with your family and create long-lasting memories. 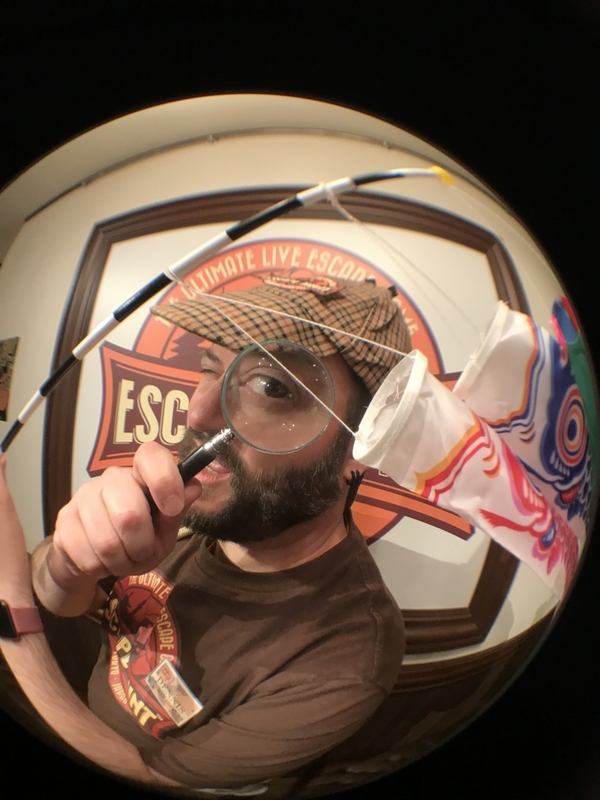 Escape Hunt is the international leader in live escape games. Thanks to our online reservation system, you can save time and choose which game to play from home. No more queueing up: arrive 10 minutes before so we can prepare you for the game, and you start right at your reservation time! Become a ZEN disciple, a Samurai or a detective investigating a disappearance, and join forces with your family to solve our mysteries or complete your mission! Being locked in a room for an hour will strengthen family ties, with all members participating and enjoying the game together. After enjoying our games, have a walk around Asakusa and discover the old Tokyo, with its world-famous sightseeing spots. The city itself is like a theme park, with lots of Japanese treats and meals to try (matcha or black sesame ice cream, taiyaki croissants, melon pan, or for the most adventurous, eel and monkey delicacies! ), and cute traditional shops selling the perfect souvenirs to bring back from your trip. In the evening, if you still have energy after having so much fun, enjoy the night view from Tokyo's Sky Tree, a very nice way to conclude the day. Escape Hunt Tokyo in Asakusa is a place where Moms and Dads can share an adventure together with their Kids. The whole family can make memories that will be remembered fondly for years to come!